These funds are for a strike fund for Deliveroo* couriers, who are striking for better pay across the country. It will go towards those who need it to be able to participate. 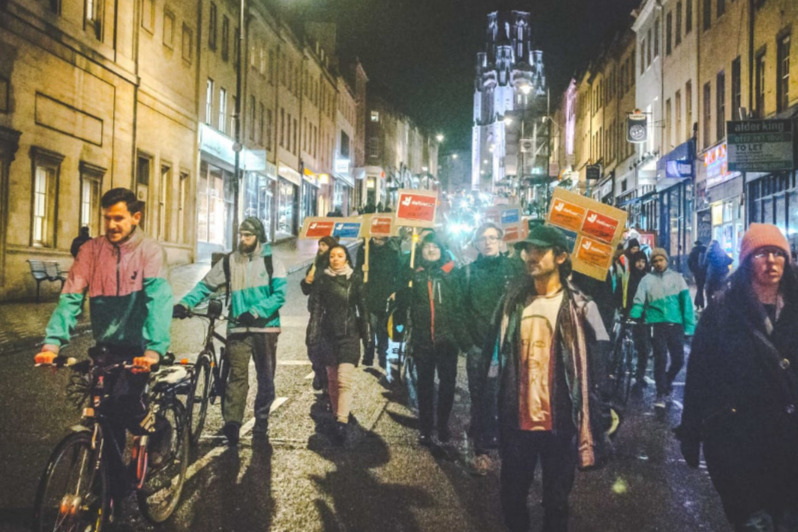 It is clear that Deliveroo will not improve our pay without sustained pressure, and instead intend to continue decreasing it, despite the cost of living increasing. It's clear, too, that they could afford us to pay significantly better if they wanted to. This means we need to continue repeated and escalating strikes, as well as other protests and ways of pressuring them. However, some of us struggle to afford to. Talking to other couriers, anecdotally it seems that well over 90% support the idea of going on strike. The biggest hold-back is people saying that they aren't sure if they can to lose the pay that going on strike would entail. Many couriers support not just ourselves but partners, children or other dependents. But we can't afford to not go on strike. In the long run strikes will of course allow us to earn back the money lost in a short time, after a pay rise. No-one should be so close to the breadline that they can't afford to stand up for their rights; that they'd struggle to lose one day's pay tomorrow to make it back and more next month. That's why we're asking you to donate to our strike fund, so that we can successfully strike repeatedly until we win. Please donate now to help us to win! This website takes a bit of a cut from donations, so if you can do a bank transfer, especially if it's a big amount, please get in contact with us. couriersnetworkbristol@gmail.com or message our facebook page . We can't be sure exactly how much we will need for that, but suppose 100 riders each need to access the strike fund for one evening's strike, that might be £40 each. We would need £4,000 for that alone. To win, we will probably need several strikes. Three evenings of strike would need £12,000 - hence the current stated target. The sooner we get donations, and the more donations we get, the more confidence it will give us when planning for the next strike. *We are now merging this with the IWGB Couriers Strike Hardship Fund, nationally, soon to have a live gofundme website and a bank account to be donated to. See here for the policy for distributing this fund.